A Non-Exhaustive List of How VSS Can Make Your Life Easier - Productive Computing, Inc.
You're asking, as the owner of a boat towing company, how can VSS help me? How do you currently handle your order processing? When you receive an order from BoatU.S. do you copy and paste, re-type, or hand write information before you dispatch your captain? What if, with the touch of a button, you could populate a form with the BoatU.S. order details and then send it to a captain? How do you submit orders for payment? Do you use a two-part carbon copy form that you have to collect from your captains before you can scan and email or fax to BoatU.S.? Ever lose one overboard with a gust of wind? Do you find this process to be time consuming and results in payment delays? With VSS you don't have to hassle with paper. Your clients can digitally sign a tow order and your dispatcher can email it to BoatU.S. the same day. Still curious how VSS can assist you in streamlining your business operations? - Reduce paperwork or actually go paperless: Make your dispatcher's life easier, reduce costs and waste. With VSS all order processing, log tracking, and timesheets are handled on your computer or iPad. There is no need to print forms. -Assist boaters faster: When BoatU.S. sends a tow order to your dispatcher, VSS imports the order email directly into a standardized form. Dispatchers can add additional information and assign the order to a captain's iPad - all with just a few clicks. - Send texts to alert captains of new orders: Once an order is assigned, VSS can send the assigned captain a text about the pending order – no need for additional phone calls. - Captains can receive orders at sea: When an order has been assigned, captains can retrieve the orders on their iPads - there is no need to come back to the office or spend time on the phone discussing the new tow order with the dispatcher. iPads must have access to the internet to retrieve pending orders. - Easily update orders: While at sea, captains can update and edit orders on their iPads (no internet connection needed). Adding service items, updating time tracking, and getting customer signatures is quick and easy. - Quickly sync between central and remote: After the captain is done assisting the boater and has an internet connection, he can send the order back to dispatch for review and final processing. - Get paid faster: With VSS, you can create, edit, sign, and submit an order for payment all from your computer or iPad – there is no need to print or fax documents. When you're ready to invoice BoatU.S., simply click a button and an email will automatically be generated with the invoice attached and the required BoatU.S. subject line: Tower ID – Member ID. - Analyze your business's success: Pull reports on orders, boats, and time sheets to review data, trends, performance, and profitability. 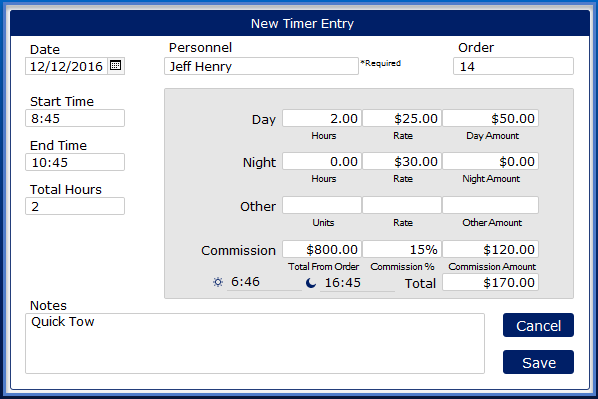 - Process payroll faster: The Timesheet's module handles commission percentages, straight hourly rates, and day and night rates. - Protect sensitive information: VSS has robust privilege settings, allowing management to dictate what information and modules employees can view, edit, and delete. - Maintain Employee Records: Store employee information in the system with the ability to easily and quickly update pay rates and contact details. 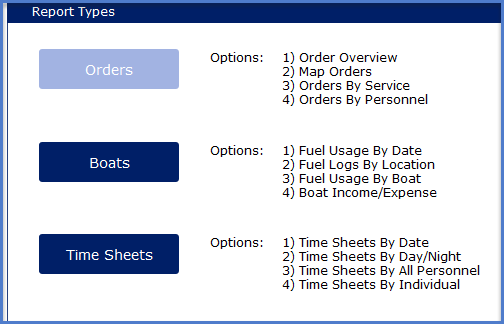 - Maintain fuel logs: Tracking fuel use not only helps you monitor boat expenses, but also helps you reconcile your monthly fueling expenses. Users can add fuel logs on the iPad and record the date, engine hours, cost per gallon, number of gallons, total cost, and fueling location. - Ensure all boat maintenance is performed on time: With maintenance schedules, you can ensure you never miss an oil change again. By creating schedules, you can track mileage and plan for boat maintenance, ensuring your fleet is always in top shape and you're never down a boat on a busy weekend. - Log maintenance performed: With the Maintenance Log you can track all maintenance on all boats, log the date, engine hours, services performed, and the total cost.